will be happy to help you save with Chubb Insurance! Call Us To Get A Chubb Insurance Quote Today! For over 85 years, Chubb Insurance Company of Canada has provided high quality property and casualty insurance products to businesses and individuals in Canada. A member of the Chubb Group of Insurance Companies, the world’s largest publically traded property and casualty insurer, it is known for treating people the same way they would want to be treated – with fairness and integrity for getting insurance quotes, dealing with policy issues and settling insurance claims. 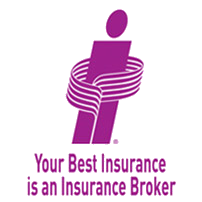 The company is regarded for its extensive insurance products and services, underwriting excellence, financial strength, international reputation and effectiveness for handling insurance claims for individuals and businesses. ACE has recently acquired Chubb insurance. This has created a global insurance leader that still operates under the regarded Chubb insurance name. Whether you are currently with Chubb or are looking to switch insurance providers, ThinkInsure can help you with a Chubb insurance quote and get the coverage you need. ChubbFolio : Access your personal insurance documents 24/7 online, saving you time and offering maximum convenience. Fairness and integrity : The Chubb name is known for its high level of customer service. They are committed to excellence in dealing with claims and act with the urgency you would expect during a time of need. 92% of Chubb's insured clients have consistently rated our claims service as Superior. Masterpiece Assist : Provides you with 24/7 assistance services for travel assistance, identity theft and restoration services, and more. An extensive selection of insurance products : Chubb crafts their products to meet your wide range of needs. From speciality and traditional business insurance, to personal accident, auto and home, and personal lines and speciality coverage for individuals, they have all your insurance needs covered. A track record of success : With more than 115 years of international experience, and with offices in 54 countries around the world, Chubb insurance has the experience and resources you look for in an insurance company. Get a Chubb Insurance Quote with ThinkInsure today! Chubb Insurance provides personal insurance coverage in four key areas: home, auto, watercraft, and collection insurance. Chubb provides home insurance coverage that is customized to meet your unique needs. As part of your coverage, you can choose from a variety of policy elements including optional cash settlements, extended replacement cost, complimentary home appraisal and much more. Get coverage and a Chubb insurance quote for your home, condo, vacation home or renters’ insurance today! Every driver has their own unique set of auto insurance needs based on their driving history, driving habits and where they live. Chubb auto insurance provides you with car insurance policy choices. As part of your policy, you have rental car coverage, the option to choose your own body shop for repairs, original parts will be used for repairs when possible, and there will be no surprises at a time of loss. Loyalty matters to Chubb, and long-time customers qualify for a variety of loyalty discounts, credits and more to lower insurance costs and increase the value you receive from your car insurance coverage. Like to spend time out on the water? Protect your watercraft with Chubb’s seaworthy Masterpiece watercraft policy. Your coverage includes replacement cost, coverage for personal effects, precautionary measures coverage, and no surprises when you incur a loss. Chubb also covers ice & freezing, mysterious disappearance, manufacturer’s defects, mechanical breakdown/faulty repair, water-skiing and more. Are you a collector? Then you know the importance of caring for and ensuring your collection is protected. Chubb offers collection insurance for all types of collections. Choose from blanket or itemized coverage, you can choose your type of damage settlement, and there will be no surprises if you experience a loss. Take peace of mind in knowing your valued and prized collection is protected. Chubb Business Insurance provides you with options when it comes to protecting your business against risk and loss. From industry solutions to loss control, product solutions, accident and health, claims assistance and more, you can get the insurance coverage and services you need to protect your company. Industry solutions : Chubb offers insurance property and liability insurance solutions that are customized specifically by industry. Industries include entertainment, financial institutions, mining, oil & gas, telecommunications, power production, IT, and more. Loss control solutions :Manage loss before it happens. Chubb offers services to identify risk and prevent loss. Services include property survey and risk assessments, general and product liability evaluations, risk management reviews, security evaluations, and commercial vehicle risk assessments. Product solutions : Chubb offers insurance product solutions that can be tailored specifically for insurance brokers, professional firms, not for profits, cybercrime and much more. A ThinkInsure insurance broker will help you find the best business insurance coverage for your needs – Get a Chubb insurance quote or Contact us today 1-855-550-5515.